Tick Use a proxy server and enter the IP address or hostname and port of the proxy server. Select Manual proxy configuration, and enter the IP address or hostname and port of the proxy server. To require PCs in your network to go through a proxy server, into your router block all access to the Internet for every IP address in your network except for the IP address of the proxy server. 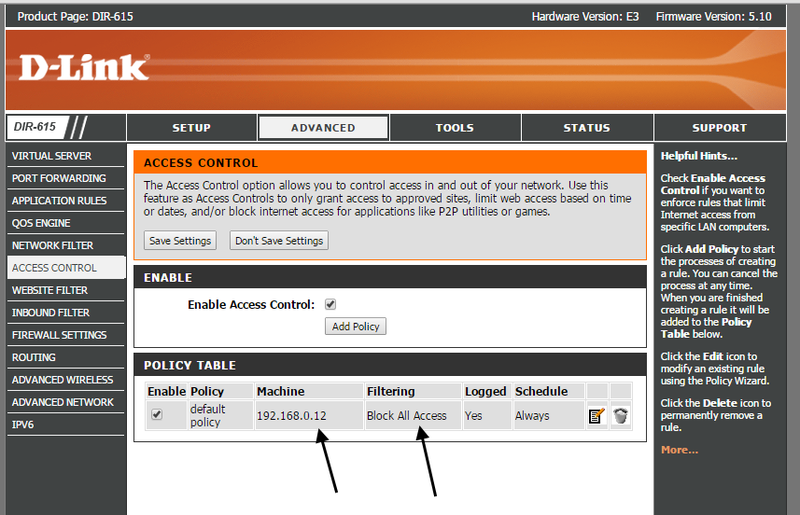 The below screen shot is an example of a router configured to block all Internet access from the machine at 192.168.0.12. The web browsers on the PC would need to be configured to use a proxy server to get Internet access. It is noteworthy that this is a poor configuration, because non-web browser applications would be unable to communicate with remote servers.